If your router model isn't close to the other versions, please use this general guide. Visit 192.168.1.1 and log in to your router with the username and password. 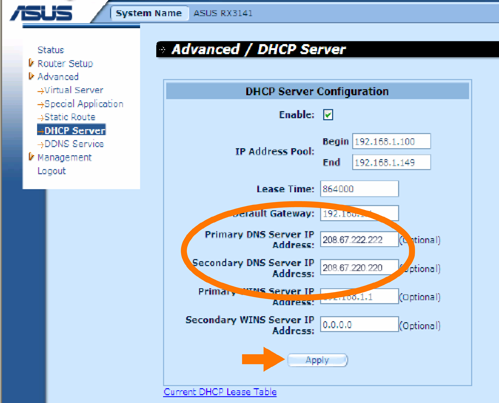 Enter the following OpenDNS IP addresses in the Primary and Secondary fields.